The Wine Depot Fair and their Biggest Sale of the Year. Calling wine lovers.. Wine Depot is having its biggest sale of the year! Save up to 40% off select wines, bundle packs, case discounts and bin ends. They will also have Wine and Cheese Pairings today at Wine Depot Makati and tomorrow at Wine Depot Alabang. 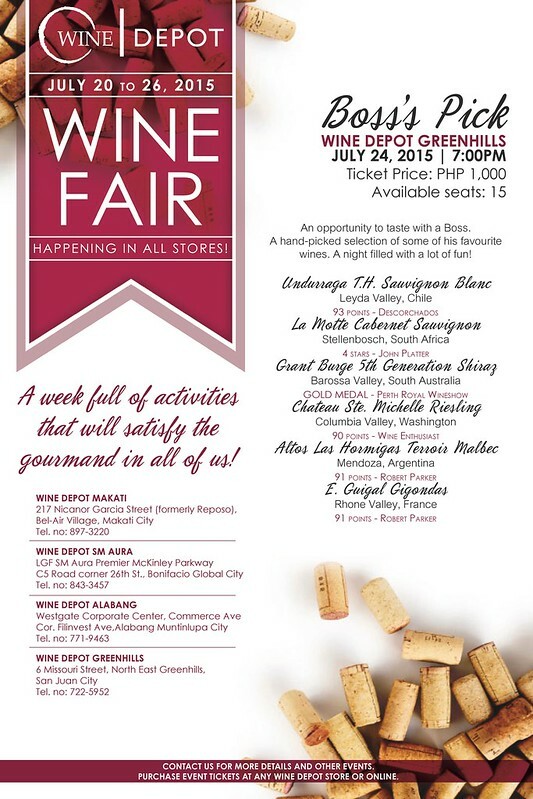 Wine Depot Greenhills will be having Boss' Pick on July 24. 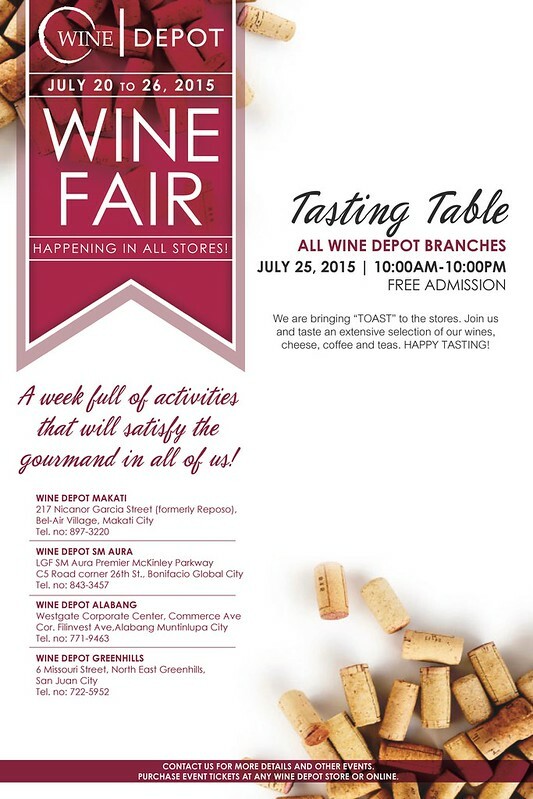 And on July 25, there will be a Tasting Table at all Wine Depot branches from 10am to 10pm. The best part? Admission is free!